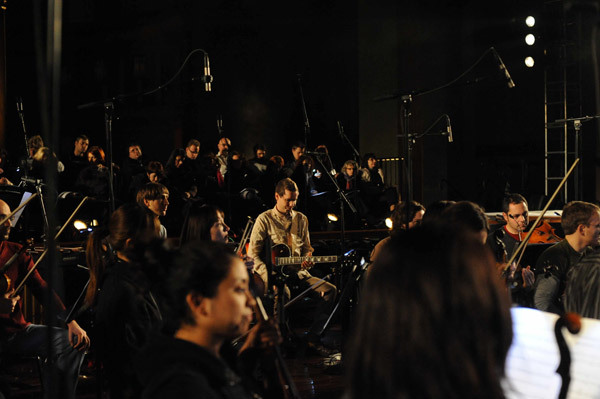 Tonight in New York City, the first live performance of ‘Riceboy Sleeps’ by Jónsi & Alex takes place. 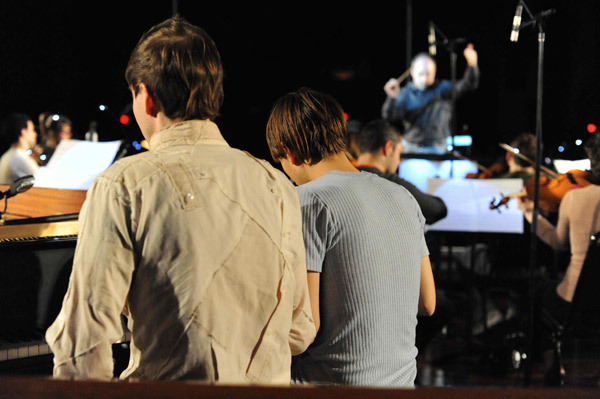 The performance is part of ‘White Light‘ series being held by Lincoln Centre. Also performed will be two pieces from Kjartan Sveinsson (from Sigur Rós). 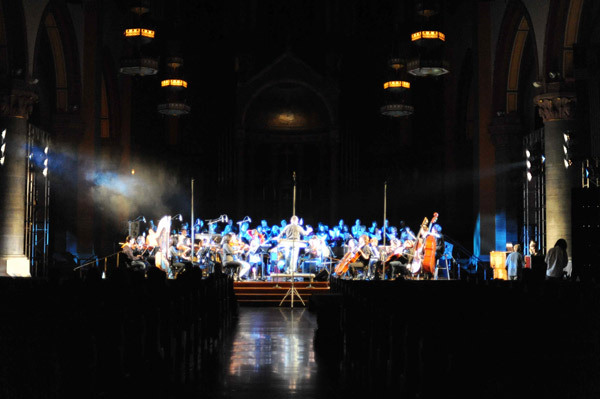 First rehearsal with choir and orchestra in St Paul the Apostle late last night. lots of teething problems. Sounds completely different when you take it out of a tiny rehearsal room. Not aided by fact that, being church, everything has to be broken down for mass now and again. I guess if they weren’t stressed they wouldn’t be human. Got a feeling it’s going to come together today. it’d better!